The London Internet Exchange (LINX) have released a launch date for their newest point of presence (PoP) in Scotland, adding a second location to their regional Internet exchange platform, IXScotland, which was first established in 2013. The new PoP, which is set to go live early November, is based within the DataVita datacentre facility, just over 10 miles east of Glasgow. Adding a second location to LINX’s regional peering infrastructure in Scotland will not only increase the resiliency for current IXScotland members but will also add to the digital attraction of the country as a whole. LINX pioneered the concept of regional exchanges in the UK with the launch and success of IXManchester back in 2012, which is now approaching 90 connected member ASNs and nearly 60Gb/sec of peak traffic. 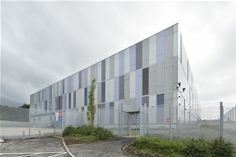 IXScotland, originated in South Gyle, Edinburgh within the Pulsant datacentre facility and is the first LINX regional exchange to be established outside of England. The exchange currently has 25 member networks connected, generating a steady 700Mb/sec of peak traffic. The ambition to grow the exchange is something both LINX and the Scottish Government had on their agenda from the start, but this was ignited over the past year. IXScotland is supported by a steering committee compiled of industry specialists who have also assisted LINX with the expansion discussions together with The Scottish Government and The Scottish Futures Trust. It is hoped that the development will help encourage more businesses and content providers to host their networks locally. The benefits will be improved latency and lower transport costs, resulting in both commercial and digital growth for the tech and business community in Scotland. The London Internet Exchange (LINX) is one of the largest Internet exchanges in the world, connecting over 800 networks from over 75 countries around the globe. As a mutual membership organisation, whose members make up a large part of the global Internet, the London based IXP is in a unique position to make a difference for all as it’s mantra ‘Working for the Good of the Internet’ indicates. LINX continues to expand their London presence with over 10 PoPs across the capital along with regional exchanges in Wales, Manchester and Scotland. LINX also operates an Internet exchange in the Ashburn metro area in the US just outside Washington DC. IXScotland is a single node IXP using powerful switching gear that functions independently of the LINX’s networks London and Manchester. The exchange is managed in consultation with a local steering committee of connected member networks.